The legendary Sunset Marquis Hotel has announced the completion of its 100 remodelled suites. 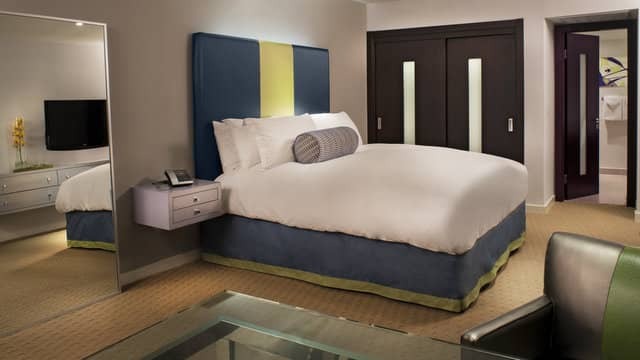 These junior and one-bedroom suites offer oversized bathrooms, in-room dining, work areas and custom furniture in vibrant and inviting colours. With an average of 529 Sq. Ft. in the suites, most rooms have balconies or spacious patios. 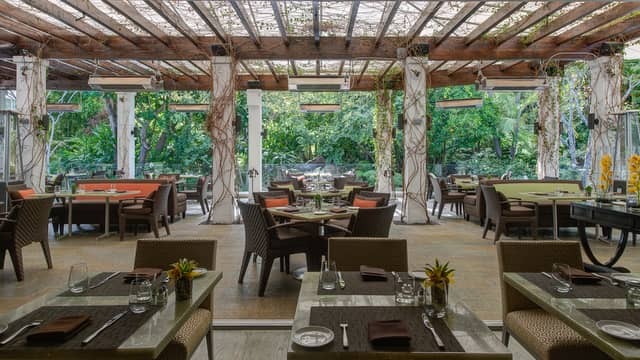 Interior designer Oliva Villaluz has been involved in the renovations of the Sunset Marquis for 10 years, working alongside Sunset Marquis’ Owner Mark Rosenthal, to develop a new look for this celebrated property. Originally a set designer, Oliva’s vision was to take the 1960’s look back to a more classic style with a little twist. Villaluz brings her singular vision of modernity, casual elegance and zen infusion to an eclectic array of Hollywood’s most prestigious properties. Villaluz’s goal was to create a “home away from home” for Hollywood’s elite. With rich textures and colours, the vibe of the hotel is a bit more masculine and comfortable. “I travelled for inspiration,” Oliva said, going as far as Shanghai & Beijing to source out textiles, metals and furnishings. The charismatic, petite powerhouse is driving projects, which include not only The Sunset Marquis Hotel, but also Raleigh Studios, Fess Parker Winery, Crescent Hotel Beverly Hills, and dozens of high end private residences. Cavatina, located at the Sunset Marquis, sits in the centre of the property’s lush oasis landscape. Owners George and Mark Rosenthal collaborated on the restaurant’s interior and wanted the overall feel to be more inviting and relaxed. This “hidden” gem not only offers a cosy upgraded patio for al fresco dining, but also new lounge areas for casual dining and drinking. Inside Cavatina, celebrity photographs taken by renowned photographer and long-time hotel guest, Timothy White, line the walls. “We are excited to unveil this completed remodel of Sunset Marquis, which has undergone many changes since its inception in 1963. This new remodel will offer our guests an even more superior experience,” said Rod Gruendyke, General Manager of Sunset Marquis. Rates for Sunset Marquis range from $325 to $425 for a suite. Villas are from $465 to $1800. Presidential Villa is $10,000 per night. Rates vary by season and availability.